One of Australia’s greatest stallions, Redoute’s Choice, passed away this morning at his beloved Arrowfield Stud, in the Hunter Valley of New South Wales. Redoute’s Choice was a breed-shaping sire and his death comes just days after his rising superstar son, The Autumn Sun, won his fifth Group One race from just nine starts in last Saturday’s Rosehill Guineas. “Redoute’s Choice seamlessly made the transition from outstanding racehorse to become one of the greatest stallions we have seen,” said Mr Peter V’landys AM, Racing NSW’s Chief Executive. Redoute’s Choice leaves a legacy that will ensure his name lives on, having produced 163 Stakes-winners including 34 Group One winners. Among the rising 23-year-old’s progeny were Miss Finland (five Group Ones including the Golden Slipper), Lankan Rupee (five Group Ones including the TJ Smith Stakes) and Samantha Miss (Champagne Stakes and Flight Stakes). 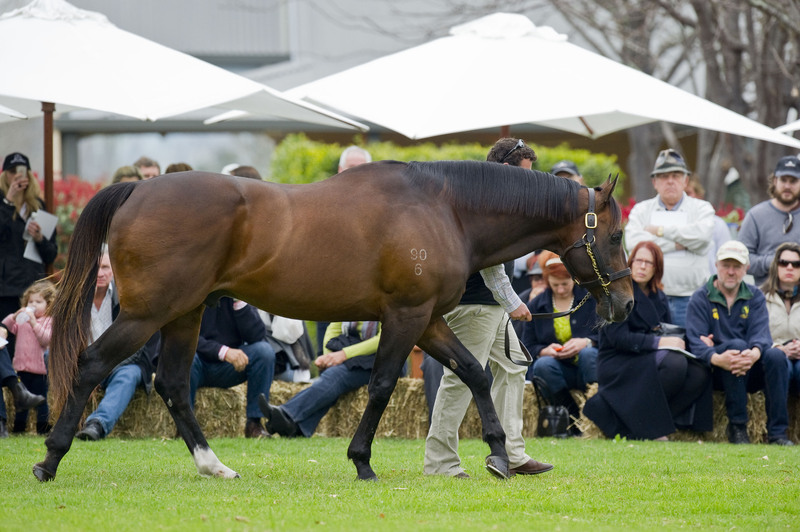 Redoute’s Choice has also become a sire of stallions, with his sons producing 284 Stakes-winners including fellow Arrowfield Stud resident, the Group One-winning, Snitzel. Snitzel is now one of the country’s leading stallions and sire of Trapeze Artist (four Group One wins), dual Group One-winning stars Russian Revolution and Redzel (winner of the 2017 and 2018 The Everests and $15.4 million in prizemoney) and 2018 Golden Slipper heroine, Estijaab. Redoute’s Choice is also known as an outstanding sire of broodmares with 86 Stakes-winners (including 48 Group One winners), including the dams of Zoustar (now a top sire), Sacred Falls (two Gr 1-ATC Doncaster Miles) and the recently-retired, Kementari (Gr 1-Randwick Guineas).